There is a fascinating link between meditation and sleep. When you understand that link between sleep and meditation, you will become a better meditator and get higher quality sleep. For many of us, sleep is an emotional and sometimes even contentious subject. Many of us feel like we don’t get enough sleep (whether that’s because of stress, insomnia or simply lack of time). Others find it difficult to drag themselves out of bed at all, living with issues such as depression or fatigue which can make it feel as if we are sleeping life away. As people continue to struggle to sleep, meditation is becoming more popular. There are many links between sleep and meditation. People have found that certain meditation techniques have relieved their insomnia, even where other methods have failed. Being unable to sleep is something which many people experience, but pharmaceutical solutions are often blunt and unsustainable, while traditional advice such as having a warm bath and avoiding caffeine sometimes doesn’t work, making meditation methods for sleep a welcome solution. So what is the link between meditation and sleep? Meditation is effective for sleep. But there is more to the relationship between meditation and sleep. Sleep is a kind of intermission in our daily life, a point where we enter an alternative state of consciousness and (hopefully!) find some rest and relaxation. Sleep and meditation are similar in this way. And while sleep and meditation are undeniably different, they are also inextricably linked. So what is the link between meditation and sleep, and why do meditators sleep better than everyone else? Ask yourself: Why are we experiencing so many problems with sleep in the modern world? As a culture, the way we view sleep is in constant flux. Just a few years ago, you could have argued that sleep was considered something of a waste of time – an indulgent habit we should cut down on in order to fit in order to be more productive during the day. The cultural conversation talked approvingly of the “sleepless elite” (including political titans like Margaret Thatcher, historical figures such as Thomas Edison and many successful business people) and even offered advice on how to be more like them. Success was strongly linked to the ability to put everything from our health to our family life on the back-burner in pursuit of material gain, and a “sleep is for the weak” mentality reigned. Yet a recent interest in wellbeing has began to change this view. The link between sleep disorders and health problems such as dementia have become more well known. We are increasingly investing more value in the idea of looking after ourselves. Despite this, however, many of us find that it is hard to get enough sleep. Our working lives have dictated that we have to fit all our sleep in to a set schedule of 7-9 hours every night—regardless of circadian rhythms or how tired we actually feel at any point during the day. Add to this the high-stress nature of the modern world, where time-pressure can feel intense and the to-do list is seemingly never ending, and it’s no wonder we struggle to get enough sleep. It’s a problem both meditation and sleep share: we struggle to get enough time for them. How Are Meditation And Sleep Different? This Dalai Lama quote hints at their relationship between sleep and meditation. Indeed, there are similarities between sleep and meditation: They both provide deep relaxation of the body and are characterised by low frequency brainwaves. Both are also times when we experience the world differently. But meditation and sleep are also very distinct. Yes, there is a relationship between meditation and sleep. But there are major differences too. In sleep, we are either completely unaware or dreaming, journeying (usually without any conscious control) through a personal other-world. In meditation, we aim to cultivate greater awareness, quieting our constant self-talk in order to attain a state of consciousness that is totally different from our normal waking state. To be unconscious is to sleep, and meditation is basically the opposite. Meditation takes a conscious attempt to focus the mind, while in sleep we slip away from awareness and become removed from our mind’s chatter without thoughtfully attempting to do so. Is it a problem to fall asleep during meditation? Yes, meditation and sleep are similar. But you dont want to muddle up sleep and meditation. If we fall asleep during meditation, we haven’t meditated effectively. It’s very common and nothing to be concerned about if you do fall asleep when meditating sometimes. Finding the right balance between focus and relaxation can be difficult. But there are ways to stop ourselves falling asleep in meditation if we end up snoozing that bit too often. Sit upright during meditation. It’s important to be comfortable (unless the form of meditation you’re pursuing requires a particular position) and if you usually manage to stay awake you can meditate lying down if you like. However, an obvious quick fix to avoid falling asleep during meditate is to make sure you aren’t snuggled up in bed or lying on a comfy sofa. You can learn more about this in our guide to meditation postures. Dedicate a meditation space away from bed. As we naturally associate our beds with sleep, it’s best not to meditate somewhere quite so soporific. Creating a meditation space within your home can help you cement the habit, as it adds an element of ritual to the process, and it has the added benefit of focusing your mind on meditation and keeping you alert. Shake up your schedule. If meditating when you first wake up or late at night has you heading straight to the land of nod, you can schedule your meditations at other times of the day. For example, you might meditate half an hour after eating a light breakfast, or during your lunch break. Meditate outside. If the weather isn’t too frightful, meditating outside can both enhance your experience and keep you switched-on, with the fresh air and even slight chill allowing you to retain focus. Try a moving meditation. You may have found that staying awake during meditation is a huge challenge for you and that it’s really standing in the way of your progress. In this case, switching to a moving meditation – such as yoga, walking meditation or Tai Chi – could be a good option. It’s also important in this case to address the reasons why you are so tired, perhaps popping to the doctors to make sure there isn’t an underlying problem that’s causing your fatigue. Are Meditation And Sleep Interchangeable? Some people believe that meditation and sleep are interchangeable, because they both rest and restore us. Ask anyone with insomnia and they’ll tell you that getting enough shut-eye is vital to our health and happiness. We can’t sleep for a couple of hours a night, or experience severely disturbed sleep, over the long-term and expect to fill the shortfall by meditating every day – sleep is simply too important. This being said, meditation and sleep are mutually beneficial. Meditation can improve sleep quality if we are having trouble and (if the experiences of many meditators are to go by) can even cure insomnia entirely. There is also scientific research showing that long-term meditators actually need less sleep as their practice develops, although more research needs to be conducted into this area. Meditation also helps us to boost our energy levels should we find our sleep quality has been compromised (something that also helps those who sleep too much due stubborn fatigue) and can help us find rest we otherwise may have missed. 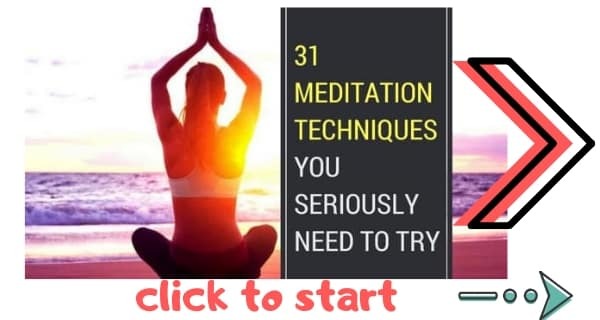 So are you ready to get meditating and sleeping? If so, get started with our meditation beginners guide. Holly Ashby is a wellness writer who works with Beeja Meditation, a meditation centre that teaches Vedic meditation in Shoreditch in London.